Stnkrbug: Last Minute Valentine's Day Outfit Ideas! Last Minute Valentine's Day Outfit Ideas! This is the first Valentine's Day that I'll actually be going on a date, and figuring out what to wear can seriously be so difficult, as is true with a lot of other occasions. 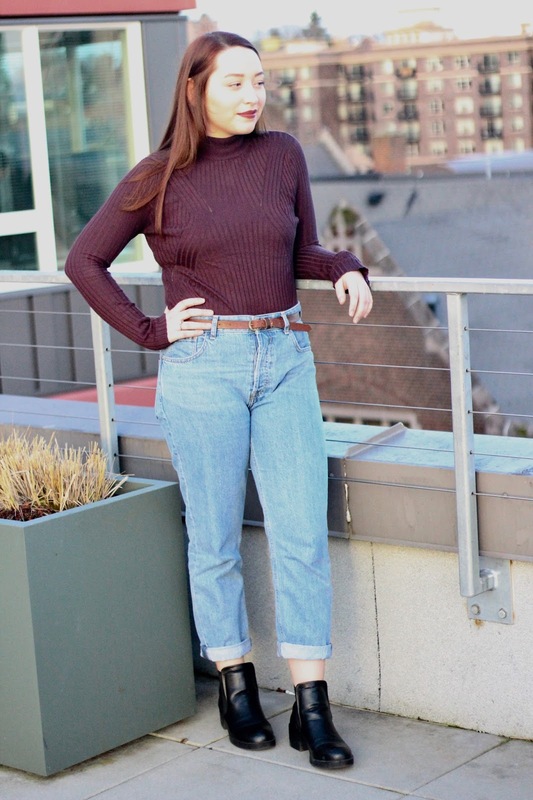 I'm the type of person who constantly worries about being over or underdressed, so I put together a couple of different options for myself. Since I had them laying out, I decided to make a post about it to give you a little inspiration, too! This look is super casual, but still really cute and perfect for Valentine's Day! 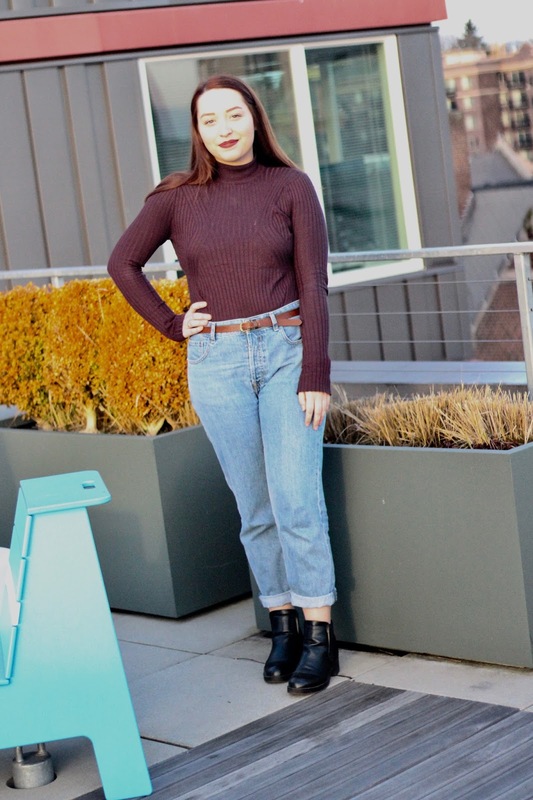 This wine-colored bodysuit has been one of my favorites for the winter, because it's so easy to dress up or down. 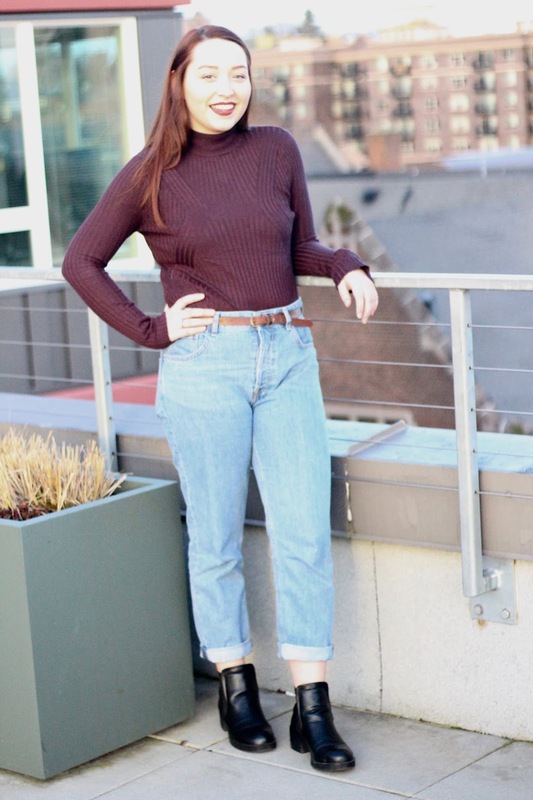 I've always been wearing these jeans a lot because they're so comfy! I got them in a little shop in Spain, but they're super popular right now and could easily be found in most stores. The pattern on the side of the sweater is also really cool and gives it a nice pop! 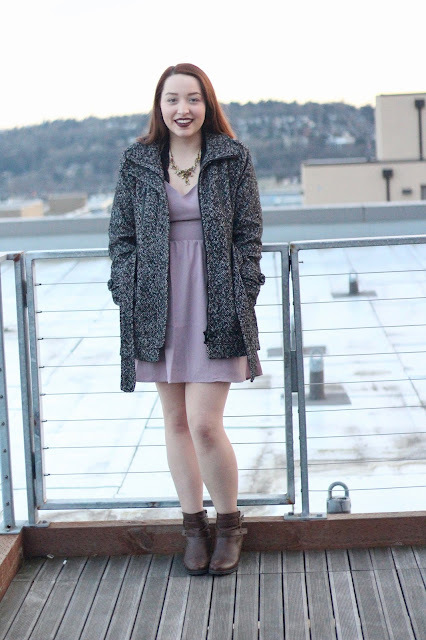 This look is great for a romantic date! The sweetheart neckline is flattering on everyone, and the flowy bottom adds a feminine touch. This tweed jacket is also extremely warm and perfect for cooler winter nights, since it's still getting pretty cold in Seattle! Booties are usually my goto shoes when I don't want to wear actual heels! These ones are comfortable and I can easily wear them for the whole night. 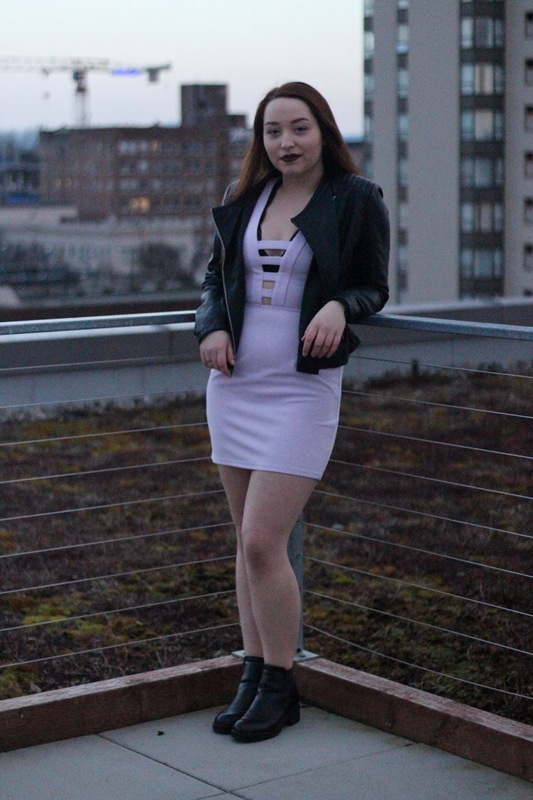 I was immediately drawn to this dress when I saw the back, because I knew it would show off my tattoo! This is great to surprise your date when you take off your jacket, and it's always just great to have a little surprise to a seemingly simple look. This type of dress isn't something I would usually buy, but the slits in the front (and back!) really drew me in. Ever since I got my back tattoo, any dress that can show it off is a winner in my book! I'm so excited to wear this dress out, and I'll definitely be bringing it to Vegas when I go later this year with my friends! Interesting necklines definitely seem to be making a huge appearance lately, and I'm loving it! This dress has a combined chocker basically, and the large keyhole opening on the chest really makes the well-loved LBD a lot more interesting. Something like this would be great for a night out on the town, or a cute bar! 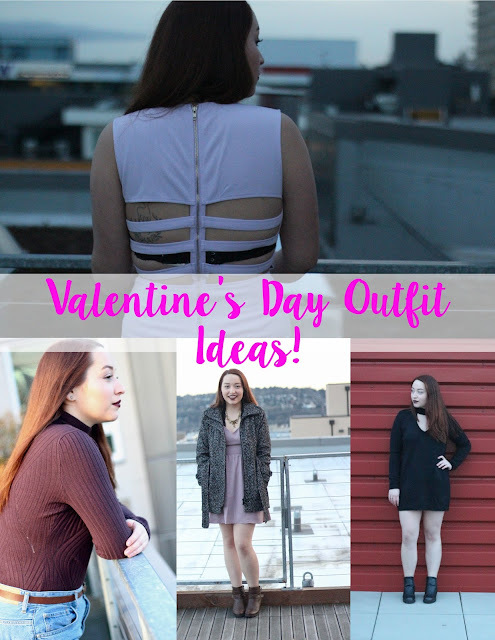 Alright, there are four different looks for last minute Valentine's Day outfits! I hope this was helpful, and finding what you're going to wear is a little bit easier! 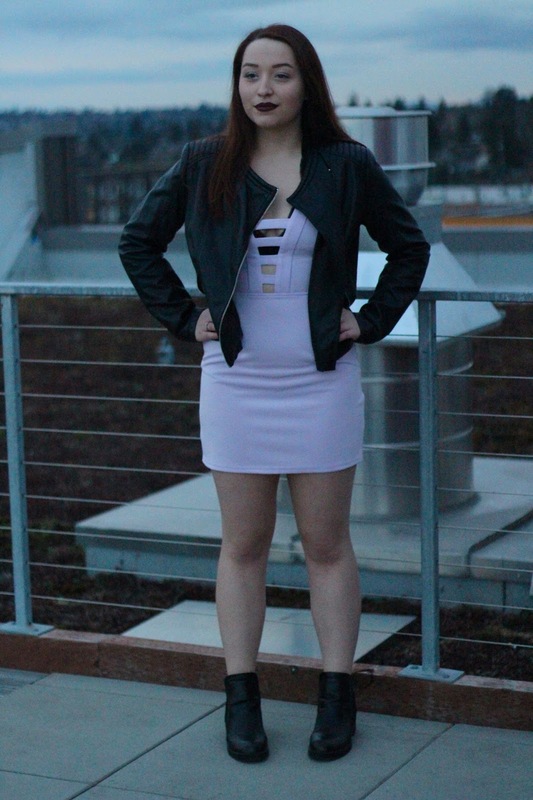 If you're looking for some great dresses check out Tobi, they have some great options for both cold and warm weather! What has been your favorite Valentine's date? 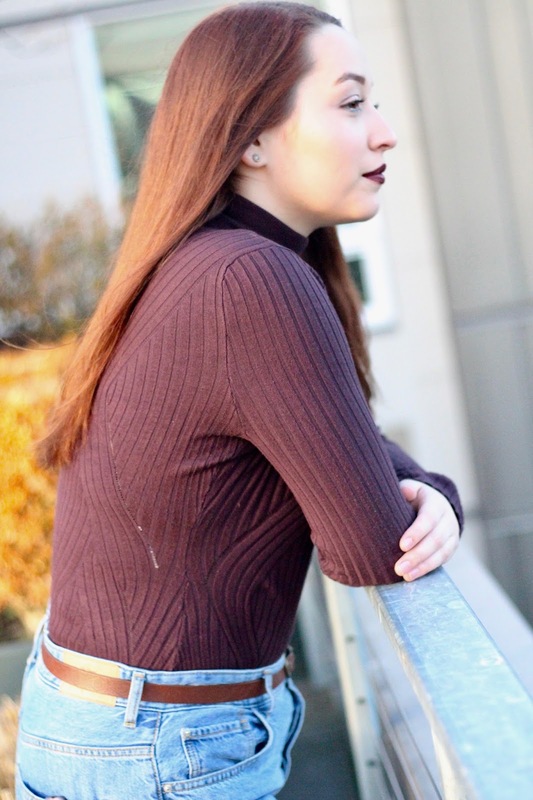 Hi Kendra, awesome blog! I read it whenever I can and it is always jump starts my week. If you're ever in Chicago let me know - Id love to meet up and chat! Wow thank you so much King that is fantastic! If I ever find myself over there I will surely let you know.